Arlington, VA, 6 January 2012: The National Genealogical Society announces the Call for Papers for the 2013 Family History Conference, Building New Bridges, to be held 8–11 May 2013 in Las Vegas, Nevada. The deadline for submitting proposals is 1 April 2012. The Mike O’Callaghan-Pat Tillman Memorial Bridge, dedicated in 2010, spans the Colorado River on Native American land in Nevada and Arizona. It symbolically connects the two men it honors as it physically connects the Las Vegas Valley to Route 66 and embodies the West as a placeless, timeless “bridge” where disparate cultures, nations, and technologies connect. The bridge augments the iconic Hoover Dam, which, upon its 1935 dedication, opened the arid Southwest to massive urban and agricultural growth by harnessing the water and power of the Colorado River. We seek lectures that “bridge” perceived divisions: the East and the West; racial and ethnic groups; rural and urban places; traditional and non-traditional families; academia and genealogy; state, local, and national borders; public and private archives; longitudinal studies over multiple time periods, or the effect of war, weather, or technology on the lives of our ancestors. We also welcome topics on methodology; problem solving; evidence analysis; state, local, and federal records; family history writing; and technological innovation. Most sessions will be one hour. Syllabus materials in PDF format are required for each lecture or workshop and are due 15 February 2013. 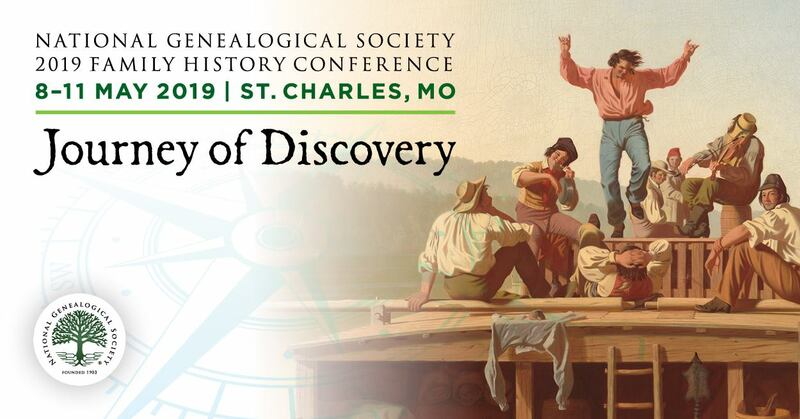 To submit a speaker proposal visit: http://www.ngsgenealogy.org/cs/conferences_events/call_for_papers/submit_your_proposals. Speakers are expected to use an electronic presentation program and provide their own digital projectors. NGS will provide the VGA cable, cart, power strip, and projector support. Individuals may submit up to eight proposals. NGS members will be given first consideration. NGS speakers are selected by the conference committee from submitted lecture proposals. NGS speakers selected in this manner receive one complimentary full-conference registration no matter the number of lectures they deliver. However, honoraria, per diem, and travel allowance and hotel accommodation are awarded by NGS based on the number of lectures given. See the Speaker Compensation table at http://www.ngsgenealogy.org/cs/conferences_events/call_for_papers/ngs_2013_conference_speaker_compensation_details. Organizations wishing to sponsor a lecture or track of lectures at the NGS 2013 Family History Conference in Las Vegas, Nevada, should review the details and sponsor requirements at http://www.ngsgenealogy.org/cs/conferences_events/call_for_papers/sponsored_lectures. The deadline to submit sponsored lectures is also 1 April 2012. Founded in 1903, the National Genealogical Society is dedicated to genealogy education, high research standards, and the preservation of genealogical records. The Arlington, Virginia-based nonprofit is the premier national society for everyone, from the beginner to the most advanced family historian, seeking excellence in publications, educational offerings, research guidance, and opportunities to interact with other genealogists. Please visit the NGS Pressroom at http://www.ngsgenealogy.org/cs/pressroom for further information.